In 2013 Vegeo Vegeco was founded, initially as a website selling organic produce from Kyrushu, a sun drenched island which has 300 families growing heirloom aubergines, green papaya, swiss chard and much more. The aim of the website was to put the farmers as the focal point rather than the shop and to give them a platform to tell their stories of the produce they grow. Customers loved the experience of sharing the true journey of the produce they were eating and the connection they had with the true source, allowing them to connect with the farmers whilst enhancing their eating and purchasing experience. In 2017 Hirabayashi launched a small vegetable store in eastern Tokyo, this small shop was created by the interior design team at Wounderwall, known as a yaoya (a neighbourhood vegetable store), this shop features display boxes made from locally sourced cedar wood. 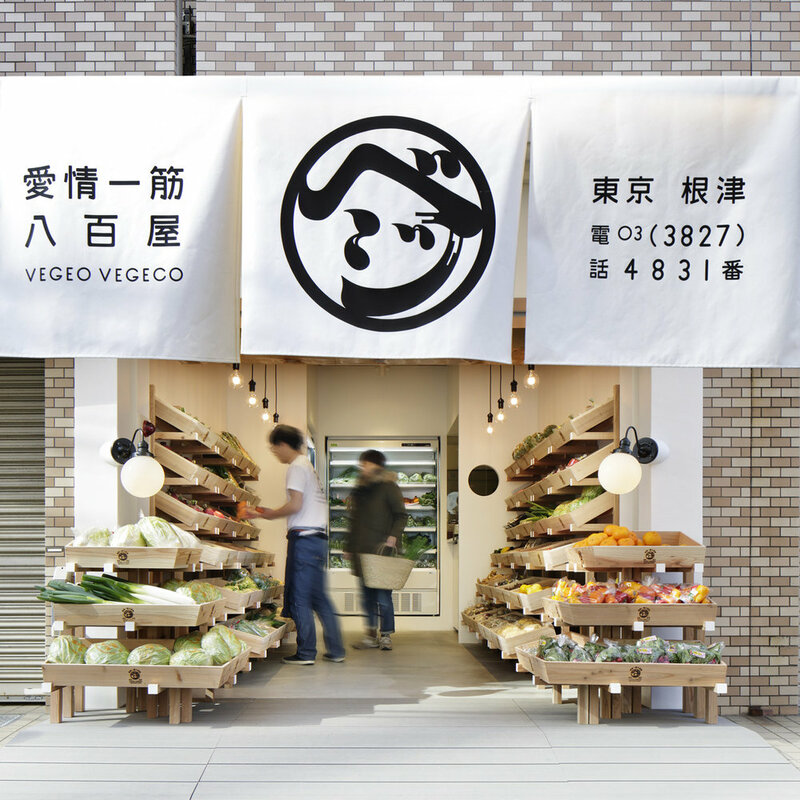 The Vegeo Vegeco team collect the produce daily from their farms and deliver directly to the customers. To make sure the produce is fresh as possible they specify one hour windows for deliveries, which has proved a great success with incredible customer satisfaction. One critical aspect that supports the farmers is the bypassing of the supermarket co-operatives avoiding the strident tests for the produce, so the misshapen carrots are not thrown away for not meeting the industry’s strict size and shape standards, they are embraced and enjoyed by the customers. Since opening the Vegeo Vegeco Yaoya, Hirabayashi has realised his early dream of borrowing idle land in Miyazaki. He says that Japan needs young people who want to be farmers and with their own farmland, he can help support and train the next generation of Japanese farmers. This belief in the provenance is helping Vegeo Vegeco support these farmers and get the fruit and vegetable produce in the shoppers baskets, putting the farmer and customer in a much happier place!